Ron is an independent consultant with Mount Victoria Consulting. 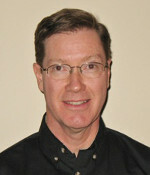 He has over 30 years of experience in transmission and distribution automation technologies and standards with a focus on data communications, intelligent devices and gateways, synchrophasor measurement, precision time, and equipment-condition monitoring and has extensive experience in assisting utilities with their technology planning. Ron is a Senior Member of the IEEE, chairs two PES working groups, is president of the DNP User Group, past technical champion of NIST SGIP Priority Action Plans, and serves on the advisory committee for DistribuTECH as the substation automation track past chair. Paul Heitmann is the President of Businovation, LLC – a grid modernization and energy innovation consulting firm—and currently supports the IEEE Standards Association in its development of conformity assessment methods for the IEEE1547 interconnection standard. Paul is also helping to develop the standards frameworks that leverage these certified interconnections to support transactive energy services through grid-edge interoperation. Paul has been active for 12 years in the field of distributed energy resources and smart grid, including distributed storage and alternative fuelled vehicles. Paul also serves on the board of NJ Clean Cities Coalition. Prior to his work in the field of distributed energy resources, Paul spent 16 years in AT&T in a series of solution development and system integration roles. He contributed to the startup of the AT&T Solutions division, which developed large network service outsourcing solutions for Fortune 500 corporations. Paul is currently leveraging this communications background for the IEEE 2030 series standards and emerging transactive energy workgroups. Paul holds a BS in mechanical engineering from the University of Massachusetts and an MBA from Fairleigh Dickinson University in Florham Park, NJ. Paul resides in Bernards Township, NJ. Kenneth Martin is a principal engineer with the Electric Power Group (EPG). He has over 40 years of experience in the electric utility industry, starting at the Bonneville Power Administration (BPA) and including work in communication, precise timing, instrumentation, and equipment testing. He started working with synchrophasor measurement with the original PMUs in 1987. He developed the phasor measurement system at BPA, including building the first phasor data concentrator, and he supported similar developments at many utilities. Mr. Martin has chaired the development of the IEEE C37.118 synchrophasor standards since 2000, including the 60255-118-1 IEC-IEEE standard under development. Mr. Martin is a Fellow of the IEEE and a registered Professional Engineer. 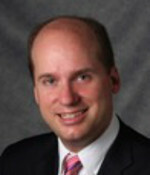 Glenn Parsons is an internationally known expert in mobile backhaul and Ethernet technology. He is a standards advisor with Ericsson Canada, where he coordinates standards strategy and policy for Ericsson, including network architecture for LTE mobile backhaul. Previously, he held positions in development, product management, and standards architecture in the ICT industry. 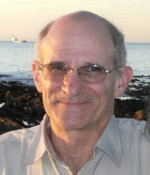 Over the past years, he has held several management and editor positions in various standards activities including IETF, IEEE, and ITU-T.
Mr. Parsons has been an active participant in the IEEE-SA Board of Governors and the IEEE-SA Standards Board and its committees since 2004. He is currently involved with mobile backhaul standardization in MEF, IEEE, and ITU-T and is chair of IEEE 802.1. He is a technical editor for IEEE Communications Magazine and editor-in-chief for IEEE Communications Magazine Standards Supplement. He graduated in 1992 with a B.Eng. degree in electrical engineering from Memorial University of Newfoundland. 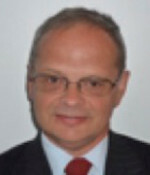 Georges Simard is president of SIMARD SG, a consultant company based in Québec, Canada. Before SIMARD SG, Georges worked for more than 30 years as a development engineer for Hydro-Quebec Distribution. He contributed to the writing of internal technical standards and wrote the Hydro-Quebec Distribution Roadmap. He has served on several technical committees (including IEC, IEEE/PES, CEA, CEATI, EPRI) and he is a Senior Member of IEEE. He also was editor in chief of the IEEE PES long-term vision (GridVision 2050), released in April 2013. He has supported EPRI’s Smart Distribution Research program since 2009. 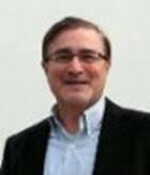 Mr Simard received his BSEE in 1978 and his Master’s degree in engineering in 1998, both from École Polytechnique de Montréal.